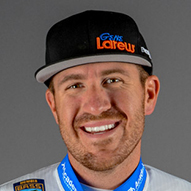 Jacob Wheeler's 3rd-place finish at last month's Bassmaster AOY Championship event at Georgia's Lake Chatuge has pushed him back to the top slot in the final edition of the BassFan World Rankings for 2018. It's the third time this year that Wheeler has occupied the No. 1 position. Previous leader Bryan Thrift dropped to 2nd and Brandon Palaniuk gained one place to 3rd. Josh Bertrand, who left the AOY Championship early to be with his pregnant wife, is down two places to 4th. Jason Christie, who finished 5th at Chatuge, jumped four places to 5th. 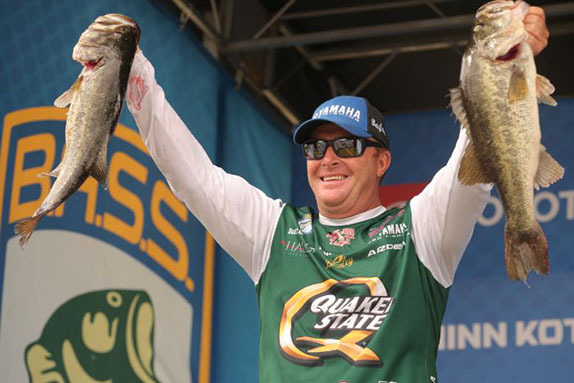 The remainder of the top 10 consists of Kevin VanDam, new crowned B.A.S.S. AOY Justin Lucas, Chatuge winner James Elam, Cody Meyer and Bradley Roy. Elam's victory catapulted him 23 places from 31st. The BassFan World Rankings were created in 2001 to answer a simple question - who is the best professional bass angler in the world? 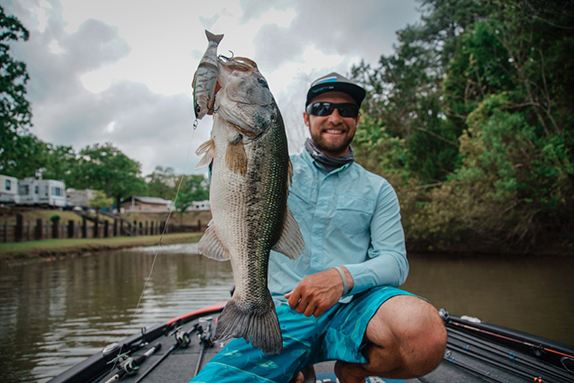 - and to give fishing fans a way to track their favorite pros, as well as to show the non-fishing world that consistently catching fish isn't "just luck". While the three leagues - Major League Fishing, B.A.S.S. and FLW - have their own single-year point races (called Angler of the Year races, which are not rankings), and "power rankings" have occasionally up in the sport, these are not World Rankings. World Rankings in all professional sports are complex, multi-year statistical endeavors simply because that's the only way to accurately and fairly show consistent performance over time. Until BassFan did it, no one produced a statistical, multi-year ranking system for professional bass fishing using results from the top tours. These are the MLF Bass Pro Tour, Bassmaster Elite Series and FLW Tour. 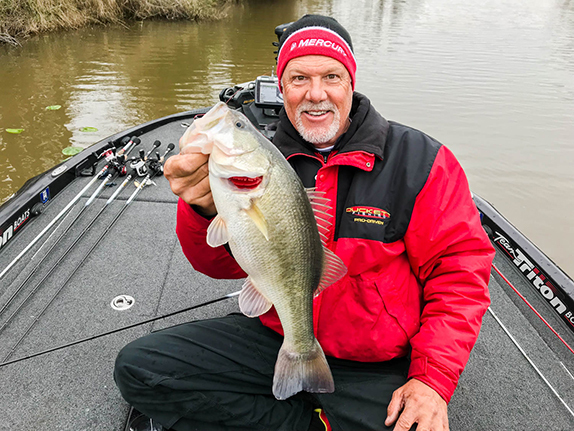 The BassFan World Rankings will also include results from other competitive (i.e., non-exhibition) tournaments that feature the world's top pros. The rankings are based on angler performance in top-level Bass Pro Tour, B.A.S.S. and FLW events. These events are the top competitions in the sport and attract the top fishermen. Events are weighted based on strength of field (calculated using the BassFan World Rank of everyone in the field) and size of field, meaning that it's easier to do well in smaller-field events than larger-field ones. Bonus points are given for winning and for placing in the top 10 percent in all regular-season events. No bonuses are given for league Angler of the Year awards, points or standings because that data is already accounted for in the World Rankings methodology. Championships are treated differently than regular-season tournaments. The BassFan World Rankings methodology ensures that anglers who fish only one circuit are not at a disadvantage versus anglers who fish more than one. Rather, anglers who fish more events have more chances to do better (or worse) than anglers who fish fewer events. A simple example: six 5th-place finishes are better than three, and four 100th-place finishes are worse than two. The rankings use data from the current and immediately prior years only (a rolling 2-calendar year cycle). The rankings are not an indication of who is/was the best bass angler ever. That is not a World Rankings. It's a list. As with all World Rankings in all sports, the methodology used in the BassFan World Rankings calculation will change over time based on feedback from interested parties. Bassmaster Opens, FLW Series (formerly Stren/EverStart) and Bass Fishing League (BFL) tournament data are not included in the BassFan World Rankings because these are "minor-league" or "triple-A" events. Everything on BassFan.com, including the various BassFan ranking methodologies, is copyright Kroenke Sports and Entertainment except where noted (notably photo credits). Members of accredited media may use BassFan content with few restrictions (see the Media Center page for more details). Any use of BassFan content not explicitly permitted by BassFan is a breach of copyright law and will be prosecuted as such.